The Victoria Police Blue Ribbon Foundation undertook one of its largest community projects when it agreed to fund the purchase of new equipment for the Emergency & Trauma Units at Dandenong Hospital. Next to the Alfred, Dandenong has the State’s second busiest emergency department that badly needed up to date patient monitoring systems. The Blue Ribbon Foundation donated $350,000 to provide a new monitoring system for each of the emergency treatment bays and more advanced units for the emergency resuscitation bays within the Trauma Unit. The system enables centralised monitoring of all emergency patients and allows doctors to make quicker assessments when patients are first admitted into emergency. The Trauma Centre at Dandeong Hospital was dedicated as a Police Memorial in memory of Sergeant Gary Silk and Senior Constable Rodney Miller who were murdered at Moorabbin in August, 1998. 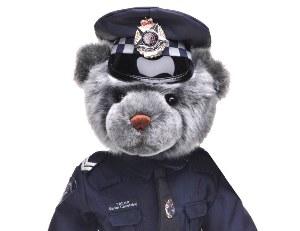 Sergeant Silk and Senior Constable Miller were engaged in a special operation investigating a spate of armed robberies in the South Eastern suburbs of Melbourne. At about 12.20am on Sunday 16th August, 1998 they intercepted a vehicle being driven by two men that was acting suspiciously. While checking the vehicle the occupants produced firearms and fatally shot both officers. The murder of these officers and the subsequent public reaction gave rise to Blue Ribbon Day, a permanent day of remembrance for all police killed in the line of duty.